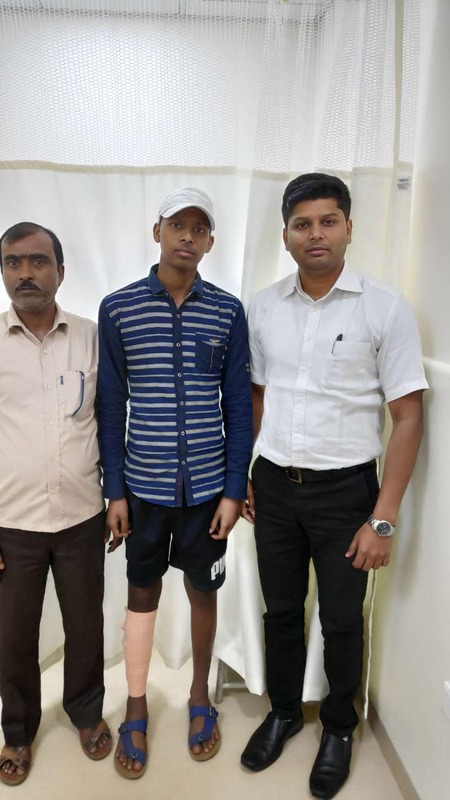 From being a highly active and bright child to being depressed by the fear of losing his leg and life, the 16-year-old Asik Ikbal is suffering from a crippling pain due to a deadly form of bone cancer far away from home. Not only does he need several cycles of chemotherapy but he also needs a surgery to treat his damaged bone. His father, a daily wage farmer, is desperately begging on everyone’s door so that he can try to save his son. Just over 2 months ago, Asik bruised his right leg while playing cricket. 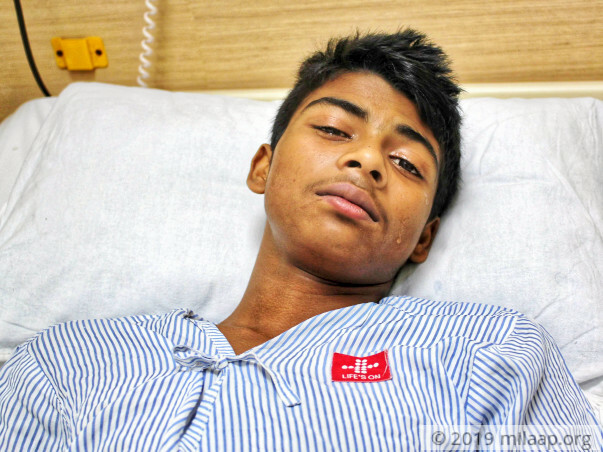 Despite medicines, the pain refused to subside and after a few tests, Asik’s family was horrified to learn that he was suffering from bone cancer. With the speed with which cancer has spread, it will become fatal soon if left untreated. 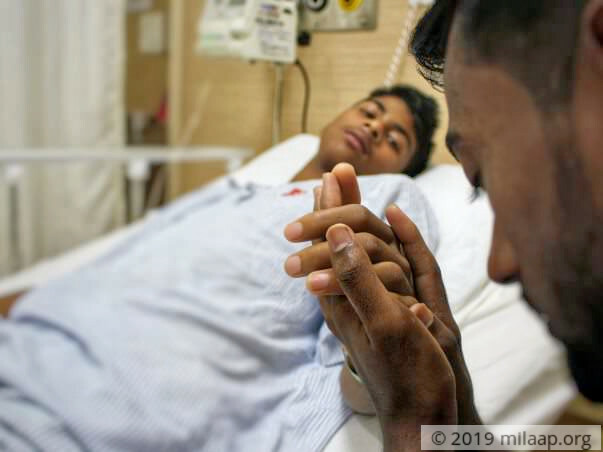 To keep his leg and life, Asik has to undergo 4 cycles of chemo followed by a limb-saving bone surgery, followed by 4 more intense cycles of chemo. Hailing from a poverty-stricken home in rural West Bengal, Asik has to remain in Bangalore, where he’s being treated, for at least 8 to 10 months. Kamarul is a very poor farmer who works on others’ farms and earns around Rs. 2000 every month which is less than Rs. 75 per day. There is no way he can pay for his weekly medicines, let alone the chemotherapy and limb-saving surgery. Until now, Kamarul has literally begged from door to door to gather Rs. 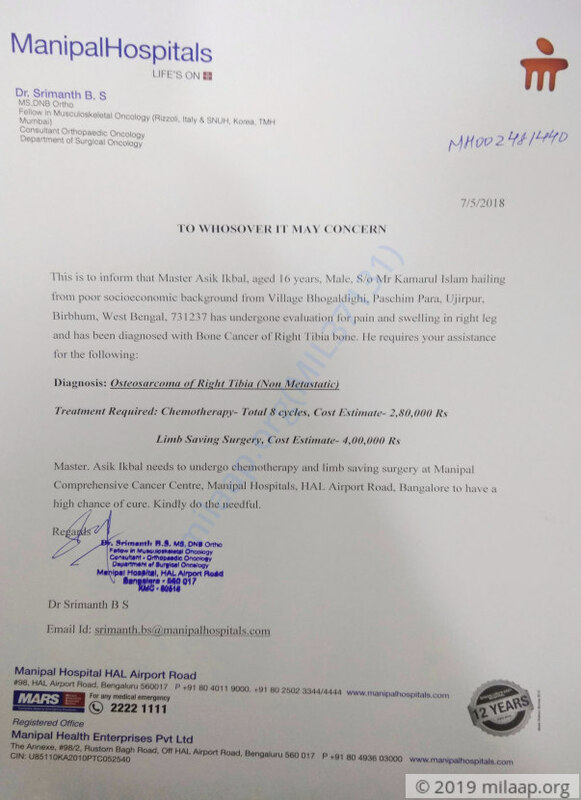 40,000 to get Asik’s chemotherapy started. 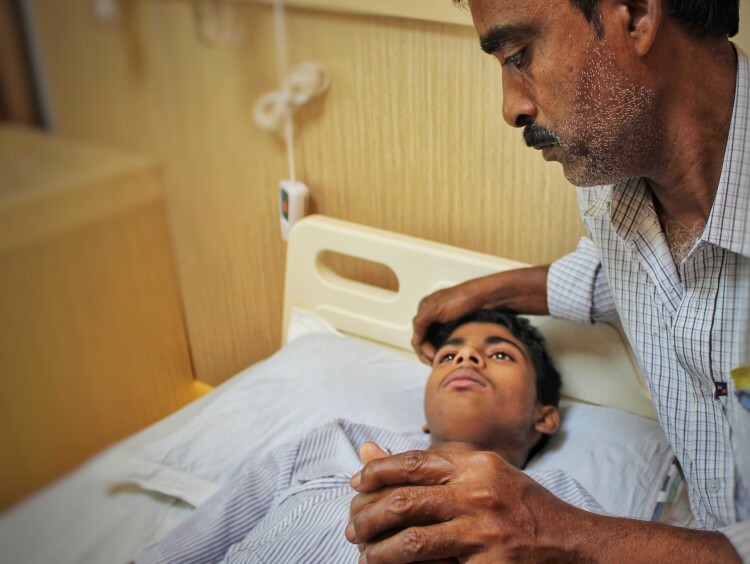 With 7 more cycles of chemo and a surgery left, Kamarul is desperate to save his son’s life but he can’t even afford his medicines. 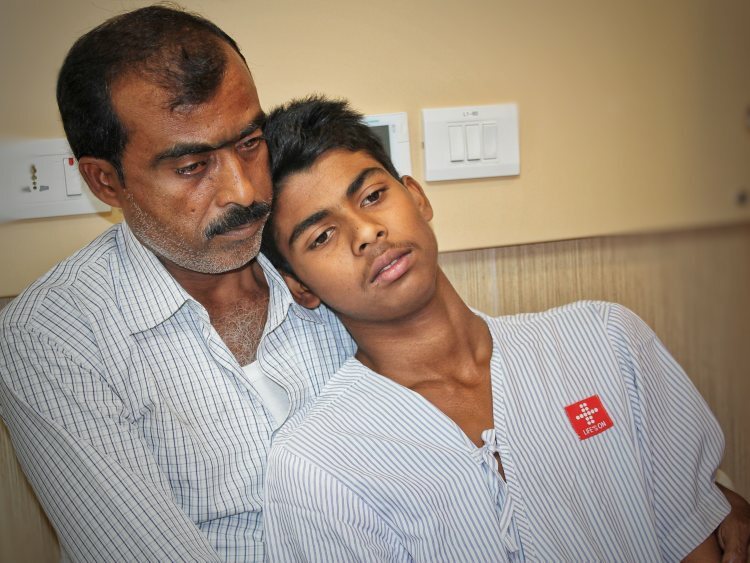 He needs your help to save his son. 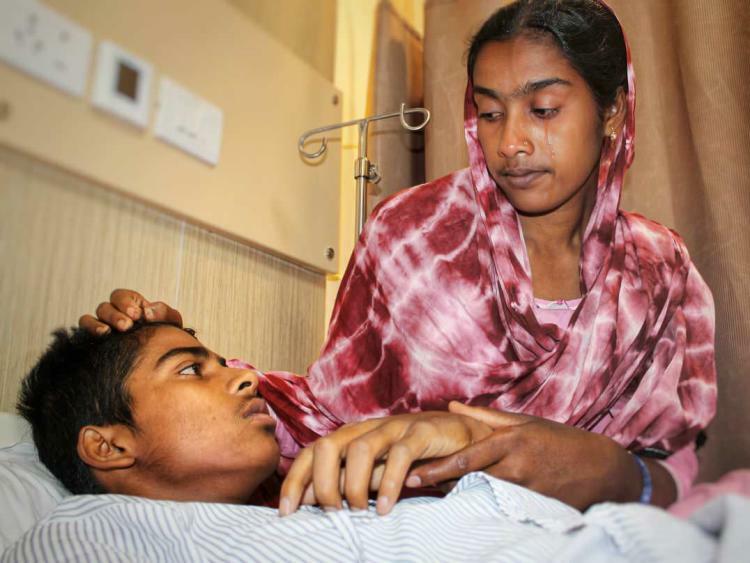 Your support will save 16-year-old Asik and ensure that he remains the symbol of hope for his poor family. Here's a quick update on Asik. Asik is doing ok and is responding well to the treatment. He recently underwent a surgery and is stable now. Here is the picture of Asik post surgery. I am grateful to all of you for the immense support and love. Asik has presently completed 6 cycles of chemotherapy and will begin the 7th cycle by this week. He is doing better and there are no side effects post the therapy and surgery. Please pray for his health and share the campaign. Thank you all! Thank you for the support you have shown towards Asik. Here is a quick update on his health. 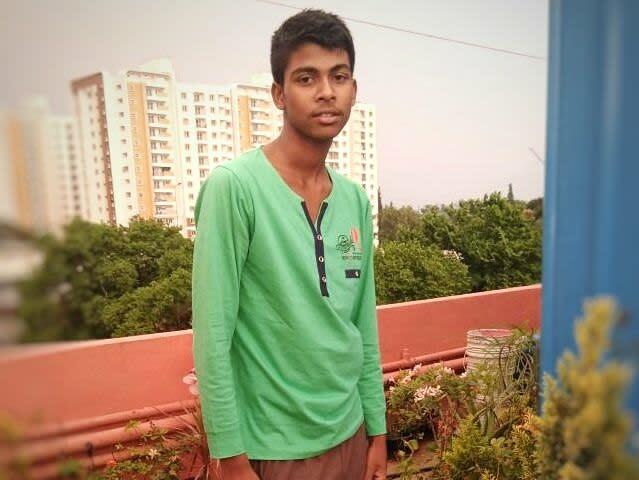 He has finished four cycles of chemotherapy and has successfully undergone the surgery. There are no major side effects due to chemotherapy, also there are no post-surgery complications as of now. He still has to undergo four more cycles for which doctors will schedule the routine. Will keep you posted as his health progresses.